WYSIWYG(What You See Is What You Get) Editor allows users to enter rich HTML text on the fly in the browser. These controls are very useful for the sites which allow users to publish the content. Here I am going to share JQuery WYSISYG editor, i.e. “NicEdit” and other interesting editors. see more examples on official site . CLEditor is an open source jQuery plugin which provides a lightweight, full featured, cross browser, extensible, WYSIWYG HTML editor. A simple lightweight jQuery plugin is compatible with major browsers. 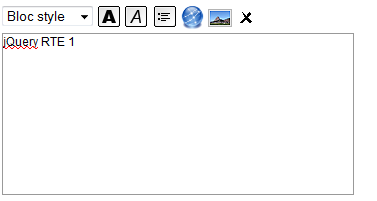 It allows you to turn any textarea into a markup editor. 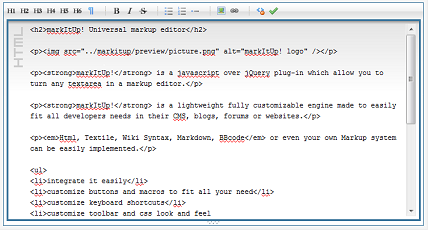 Html, Textile, Wiki Syntax, Markdown, BBcode or even your own Markup system can be easily implemented. 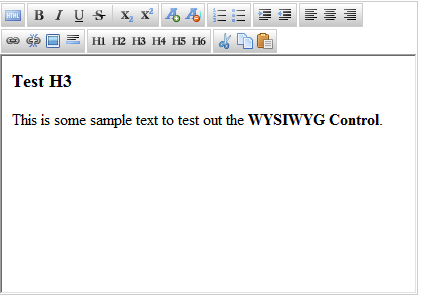 jWysiwyg is minimalistic WYSIWYG editor to covert TextArea. elRTE allows rich text editing, options for changing its appearance, style and many more. Thank you for the helpful post. Any recommendation as to which would be the best for allowing users to compose HTML emails that include images and such? Email clients of course don’t have good support for CSS, so services like MailChimp format them with tables and inline styles. Looking for an editor which supports that. Although not open source, Redactor gets my vote – very nice, clean WYSIWYG editor with nice file and image upload as standard. Will these plugins works on android, IOS, Symbian ? I love NicEdit. Lightweight and easy to customize so client’s won’t override set page styles.